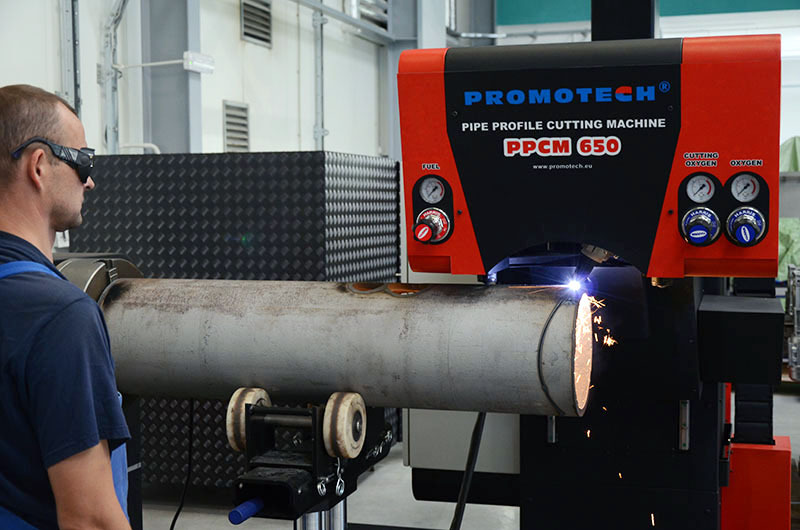 The CNC controlled Pipe Profile Cutting Machine allows to cut and bevel pipes. 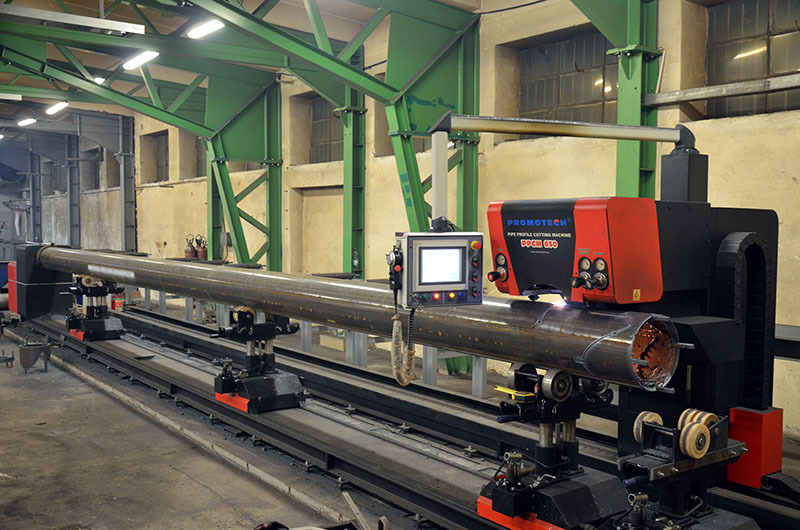 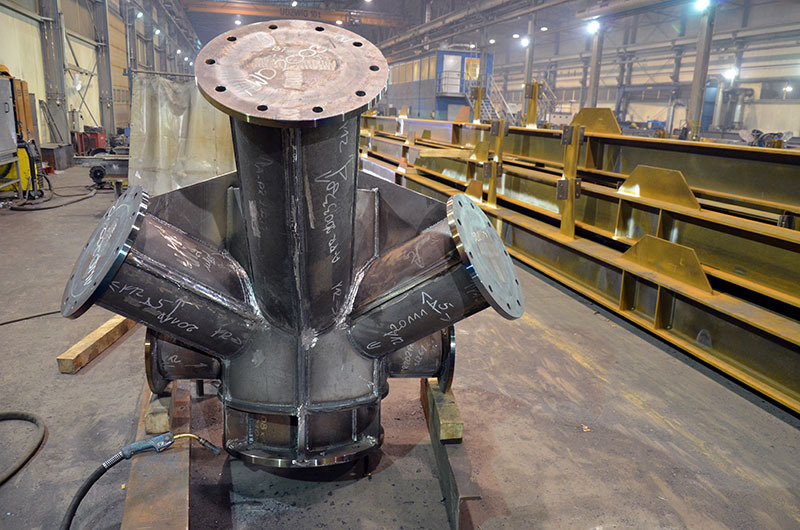 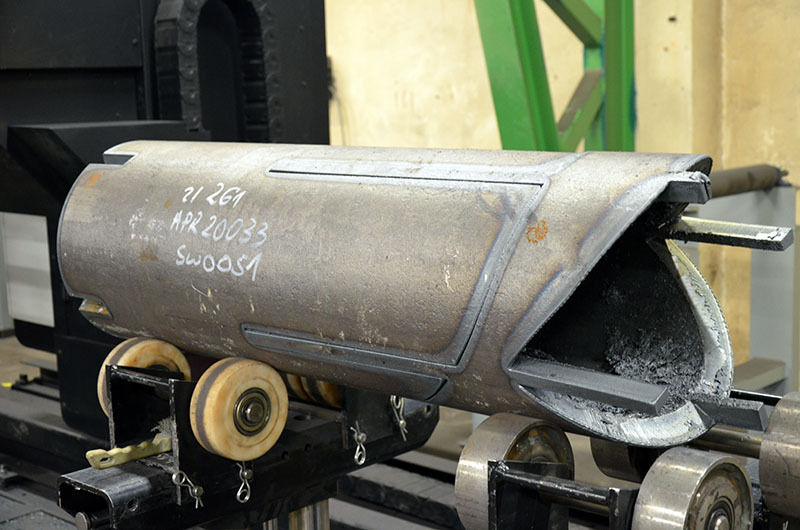 PPCM can do pipe OD from 50 to 650 mm and pipe length up to 12.000 mm by oxy-fuel or plasma. 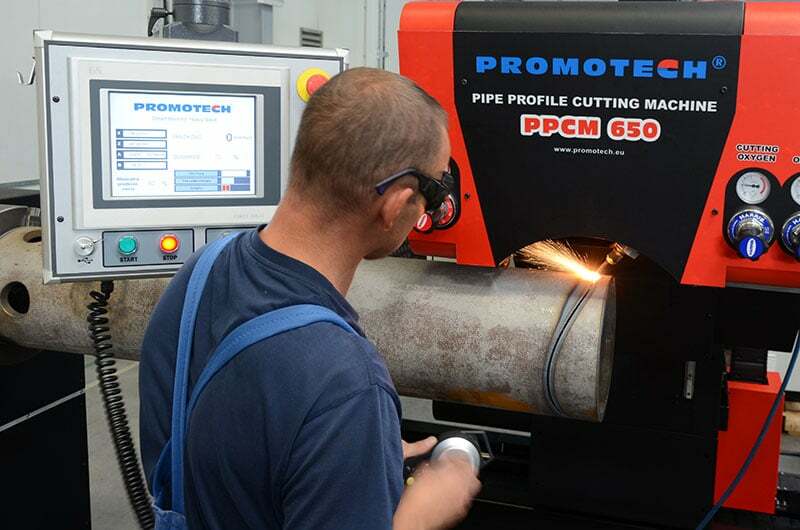 User friendly software allows quick understanding and efficient use of PPCM machines after a short training. 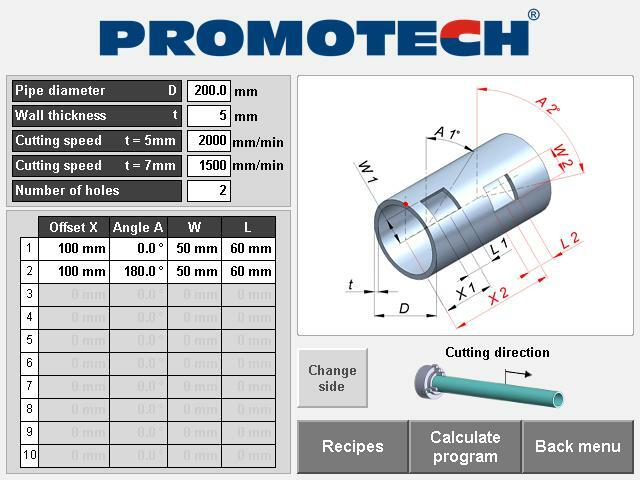 NC data file transfer to PPCM from CAD/CAM software available as option. 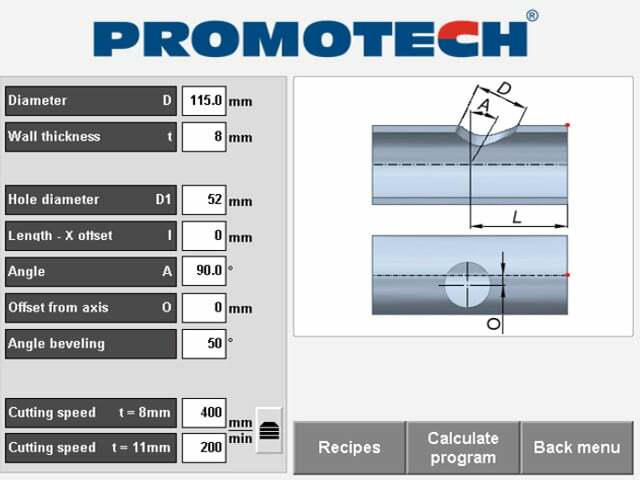 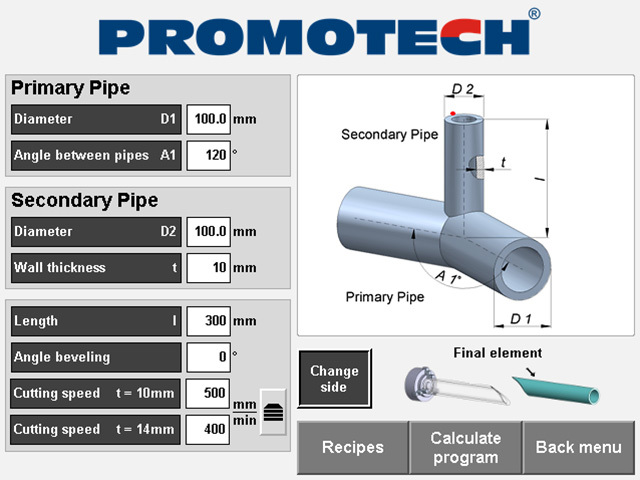 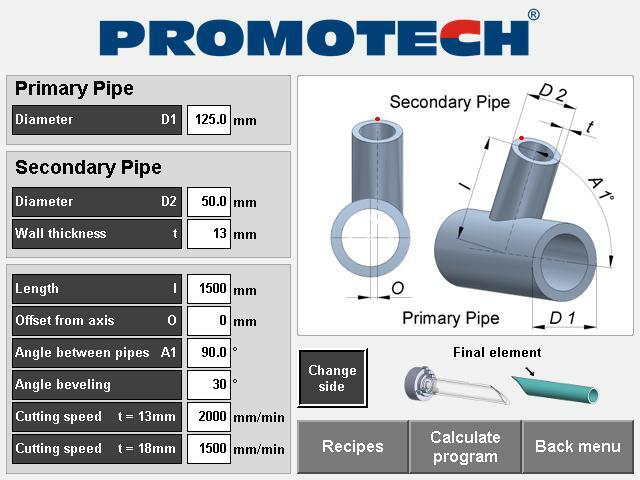 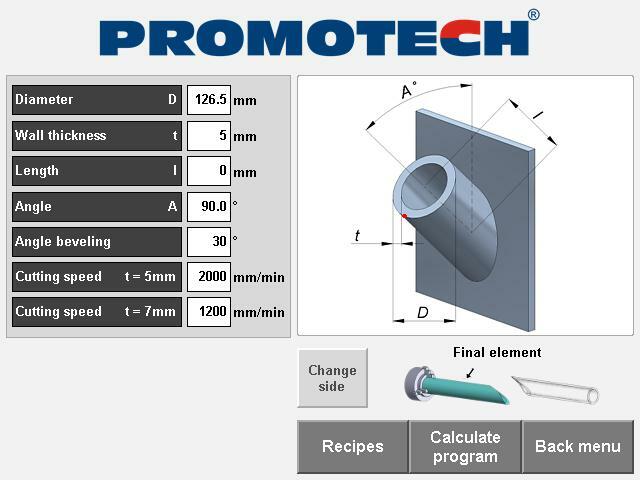 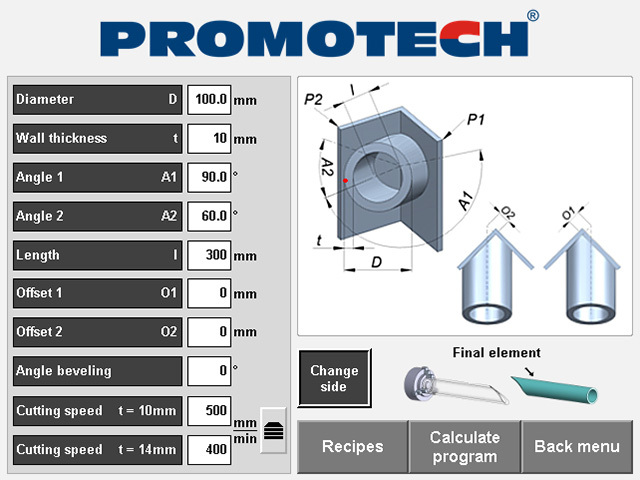 Promotech is able to offer its customers a simple way of generating the CNC code necessary to cut complex pipe intersection shapes with the Lantek Flex3d Tubes software. 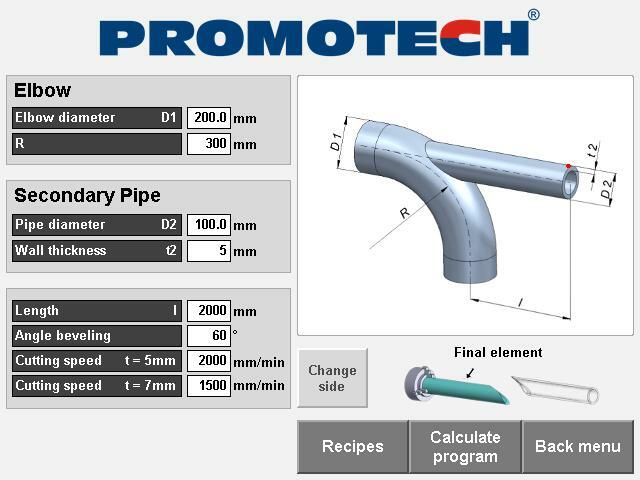 With the system, engineers are to import CAD geometry, design tubes using a set of standard shapes, or construct them from 2D outlines and generate them with any type of contour projected through the tube. 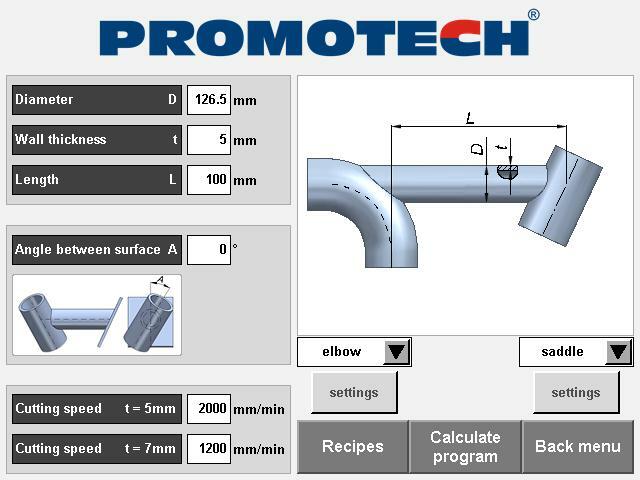 This technology increases the capabilities of engineers using Promotech’s machinery and enhance the flexibility of the machine itself. 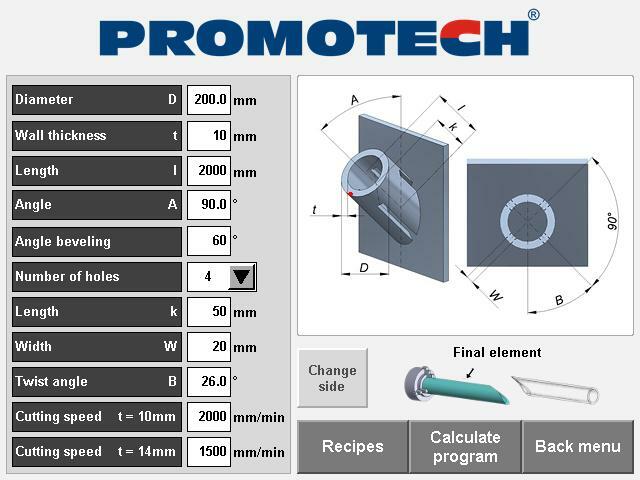 We are very excited about the prospect of working with it and feel sure that we can make a positive contribution to the advanced technology which Promotech offers. 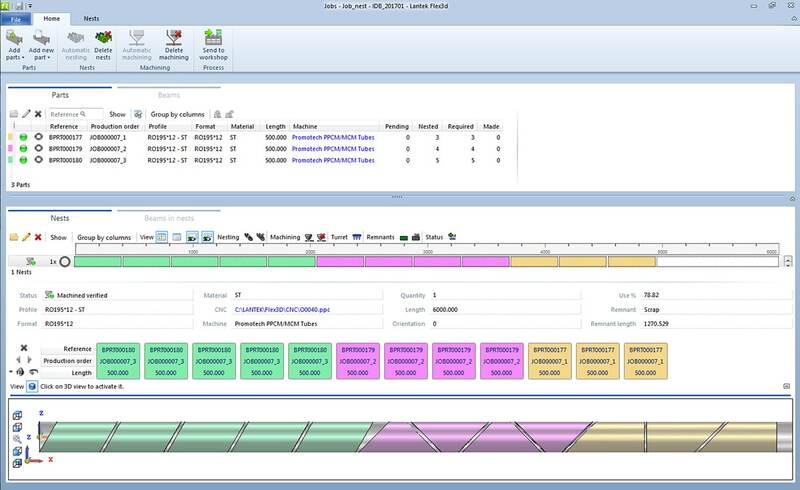 This will be advantageous for both companies and for their end users. 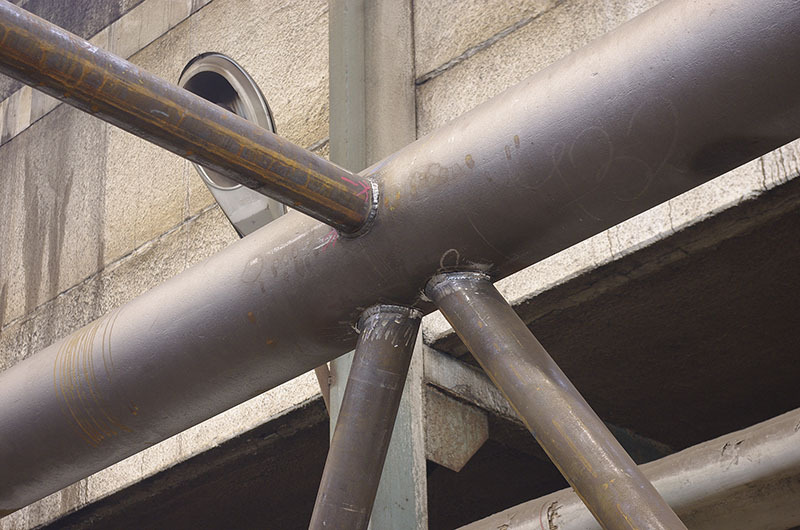 Lantek automatic nesting system determines the most efficient position of elements to be cut from pipes, thus minimizing waste of material.